A 2-parts series on LSD history: it’s discovery, it’s initial uses by psychologists and the CIA and it’s role in the ‘hippie revolution’ of the 1960’s. Also, how does LSD affects the brain? Hosted by Ran Levi. When Albert Hofmann accidentally discovered Lysergic Acid Diethylamide – LSD – he hoped that the unusual compound would help psychiatrists treat patients by inducing ‘temporary insanity’. It was the CIA who tested the LSD’s mind-bending potential as a psychological weapon, in a top-secret and horrifically cruel series of experiments known as MKULTRA. 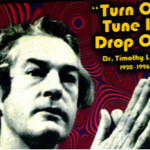 Dr. Timothy Leary helped kickstart the LSD’s involvement in the Hippie movement of the 1960’s – and was imprisoned for it. But what really makes LSD so dangerous? 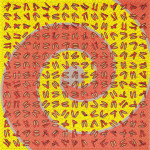 We’ll delve deep into the effects of LSD on the human brain. Featured Image by Eddie Codel. Great audios, I learned a lot, thank you for sharing!